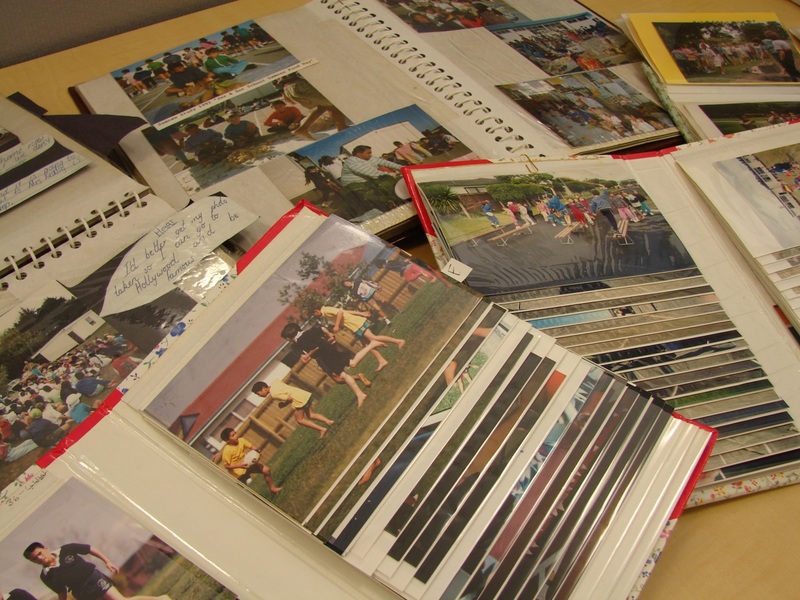 The South Auckland Research Centre has recently processed two collections, which provide an insight into the history of two local schools: Manurewa Central School and Finlayson Park School. 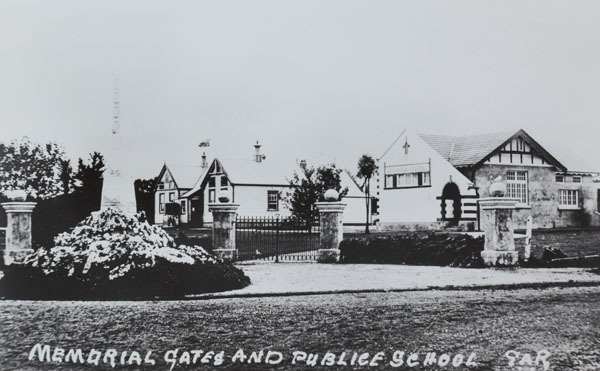 Manurewa Central School opened as Manurewa School in 1906, after the Woodside School Building was shifted to its new site on the corner of Hill Road and Great South Road. The building was later demolished in 1972. You can read more about the move and opening in the 31 August 1906 entry on Manukau’s Journey – a Manukau timeline. 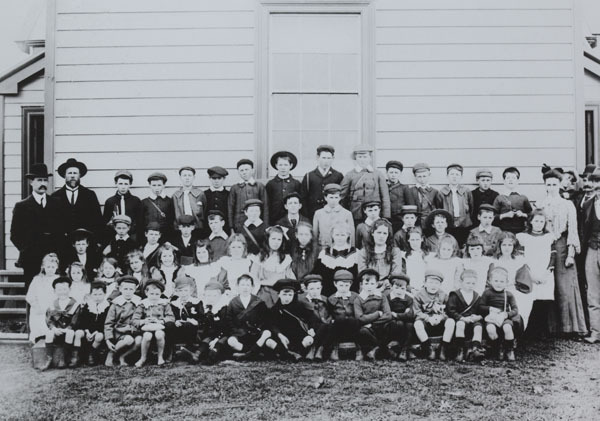 Ref: Opening day, Manurewa School, 3 September 1906, photograph reproduced courtesy of Manurewa Historical Society, South Auckland Research Centre, Auckland Libraries, Footprints 01209. Featured in this collection are the draft documents for the School magazine for the 75th anniversary year. This magazine can be found in its final form at the South Auckland Research Centre. 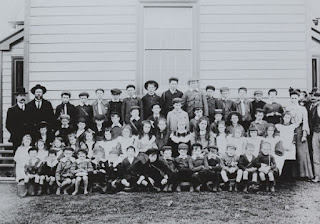 Providing a history of the area and the school, it also includes photographs of early buildings, minutes from a 1906 school committee meeting and a list of pupils from 1906 – 1980. Also at the South Auckland Research Centre is the school magazine from 1995, which includes student’s artwork and writing. Ref: GA Robertson, Memorial gates and public school, 1921, photograph reproduced courtesy of Manurewa Historical Society, South Auckland Research Centre, Auckland Libraries, Footprints 01219. This collection covers the years (1881-1981) and also includes general correspondence, class lists 1946-1981 and correspondence relating to the Manurewa School Roll of Honour Board. A much newer institution, Finlayson Park School opened in 1976. Located at 85 John Walker Drive, Manurewa, this large, multicultural school employs a unique and progressive bi-cultural approach to learning. A more visual collection, it comprises photographs and audio-visual material focusing on school activities, school outings, school camps, Christmas parades, targeted health programmes and sports events. The collection spans 1979 to 1995. Ref: Finlayson Park School, MNP MS 202, South Auckland Research Centre, Auckland Libraries. The South Auckland Research Centre also holds an oral history interview with Shirley Maihi, Principal of Finlayson Park School. In this, Shirley discusses the philosophy behind the bi-lingual approach that the school has, how they place themselves in the community, and how they structure themselves as one of the largest primary schools in New Zealand. Also in the Research Centre’s collection is a case study on the O le Taila Samoan Bilingual Unit at the school, which includes some interesting background on the school and a few additional photographs. Both schools still thrive in South Auckland and these collections will really resonate with those who have a connection to these schools, whilst providing all of us with a good overview of some of the history of these schools and their surrounding communities. Thanks for this post! It's interesting to read about these schools' collections - a great variety of material.